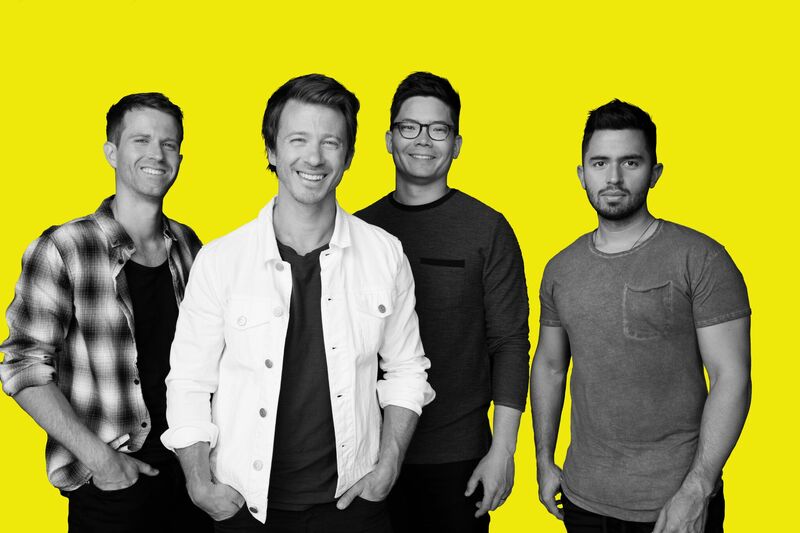 Tenth Avenue North, named after the street where two of its founding members lived in college, is made up of band members who were born into Christian households and raised in church. Inspired by their family’s faith, but wanting to make it their own, these artists were determined to speak Christian truths in a new and different way. They endeavored to produce music that was unique and compelling. Lead singer and band founder, Mike Donehey, began his musical journey after a near-death car accident fractured his skull and vertebrae. He was told he would never walk again. Two months later, through hard work and God’s grace, he was up and moving. While recovering, he picked up a guitar and almost never put it down. After this harrowing experience, he met fellow-band founder and brother in Christ, Jason Jamison. Together, they began Tenth Avenue North. Since hitting the national stage, Mike has never been one to shy away from difficult topics, both in his songs and refreshingly honest reflections. We are thrilled to welcome Tenth Avenue North for an evening of personal reflections on truth, grace and mercy, coupled with an intimate, acoustic performance. Check out the song that touched the pro-life, healing community and one of Mike's "teaching videos" about TAN's music below.